When summer arrives and the school year ends at ESIS – the Emilio Sanchez International School based in Florida – my role as a coach continues. 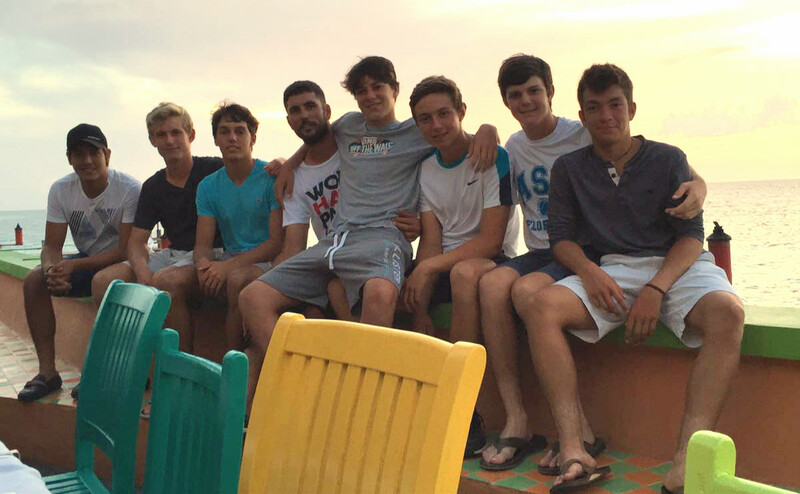 Our student athletes at the Sanchez-Casal Academy, along with other players, can join our Traveling Team, a year round program in which we coach and accompany players to ITF tournaments in the Caribbean, Latin America and Europe. This year I’ve been in charge of taking our players to the Caribbean: Bermuda, Cuba/Aruba, Bahamas, Dominican Republic and Jamaica. Yes, I know, many of you must be thinking how lucky I am, what a holiday I’ve had and the rest of it. I cannot say I’m not lucky because I am doing what I love the most, but not in the way you think. The real truth is somewhat different. For me, the tour starts 4 weeks before the beginning of the first tournament. That’s when I have to make sure that our players have registered for the competitions, which is their responsibility. Of course, we understand that they are teenagers and that sometimes they forget things, so we have to help them a little bit with this too. We start by comparing flights and hotels, getting all the info we’ll need for our stay, and contacting the parents for their consent for the budgets and logistics. The first problem, and the biggest one, is that players who don’t have an ITF ranking don’t know until the week before the tournament if they have a place, so you cannot book anything until then. This means that sometimes plane tickets are more expensive than what we expect, or there is not enough space for a big group in a hotel, so sometimes you have to find and book different accommodation to meet your budget. As soon as you’ve solved the issues of ´week one´, it’s time to think about week two, and so on. Sometimes it’s not easy as many places we travel to don’t have a reliable internet connection, so you’ve got to think about that too. For the first tournament of our tour, in Bermuda, we brought eight ASC players, of whom six were under my responsibility 24 hours a day. I was responsible for everything, from their agenda, rest, education, logistics on site, budget, security, and of course their development as athletes and tennis players. 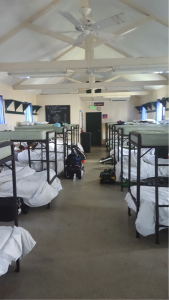 We had a fantastic week with our ASC students, even though we had to sleep in a military camp, yes that’s right… a military camp! 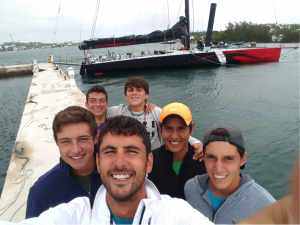 The tournament organizers didn’t realize when they planned the event that it was the busiest week in Bermuda over the whole summer – there were a lot of events happening including the Volvo Copa América, Fashion Week…. 92% of the hotels were full, and as you can imagine, those available were outrageously expensive, so the organization had to make arrangements with a military camp to provide us with accommodation for that week. Of course, it wasn’t the fanciest of hotels, but it wasn’t that bad – it was a new and different experience that made us stronger. Like I said to the players, “we are here to be survivors, it’s a great experience for your future”. When I’m on tour, I’m normally the first to arrive and the last to leave. I need to be awake, full of energy and patience, be able to handle the group and provide good advice, as I’m the adult that will spend the most time with the kids over that period. If everyone plays on the same day, I organize a good warm-up early in the morning so the players are ready and excited for the matches. I also speak to them all personally about their thoughts and goals for the match, their tactics… and lastly I remind them to utilize what they’ve learnt in training in the match. After the match I make sure they cool down properly so they’re in the best condition possible for the following day. I chat with them and we analyze the match, talking about their feelings, emotions, adversities, and how to find effective solutions. By now you may have realized that I don’t travel with my players to tick places off on the map or take advantage of your money to go on amazing holidays. It is a pleasure for me to take them on tour, because I know I’m helping them to become better athletes and better people. I do my best to be there for them 24/7 for whatever they might need, as always, as a coach, as family, as a friend. Of course I try to make sure they enjoy themselves when we have time off, like in Bermuda. At the end of a fantastic week with our players, we had a great meal together in a sports bar. Since the Copa América and the Euro Cup was on TV it was easy for them all to have a good time, because they all love soccer. 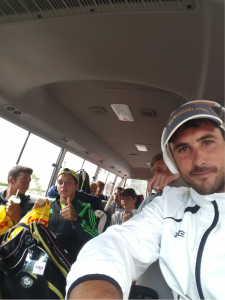 That week we achieved a lot of goals: Patricio and Cesar got their first ITF points, which was amazing, really special, all the team was supporting them. Sitting in the front row like always, I felt very tense on the inside, trying not to show it on the outside, until the opponent’s ball didn’t go over the net and all of us jumped of joy. We screamed, clapped our hands and hugged to celebrate their victory. Many of our players didn’t win enough matches to earn points, but they grew in experience, knowledge and values, and consolidated their commitment to making a huge effort to learn and fight to make their dreams come true. And dreams come true, no one can tell you they don’t, if you really want something, you must go for it. Take Santiago, a humble, responsible, hard-working 16 year old student athlete at the Sanchez-Casal Academy, who is always trying to be better than the day before. In Bermuda he was rewarded for all the effort he had made over the past year: proclaimed champion of the Bermuda ITF grade 5. His achievement was also my reward, because I realized not only how hard work, loyalty and trust turn into success, but also how important and grateful I am to have a job that makes me so proud of my players, my team, and of course the Sanchez-Casal Academy. We are committed to making a difference, and we feel the most proud when we see your children happy. If you want to experience this for yourself, or just give it a try, you can enroll your kids onto our traveling team, or any of our programs all year around. They won’t be disappointed. 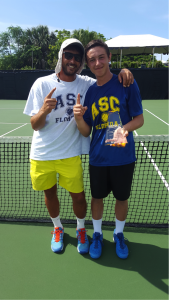 This entry was posted in Coaching and tagged coach, ICI Institute, Leadership, Sánchez-Casal Academy, Tennis, US tennis. Bookmark the permalink. ← Why will American players dominate the world tennis rankings soon? Outstanding article about travelling with studentes. Muchas, muchas gracias y enhorabuena! Thanks so much Laura and David. I hope you and your players are well. I’m writing to thank you for bringing your players to Bermuda for the ITF Tournament this summer. I volunteer with the organizers and just want to let you know we are aware of the challenges most coaches and players experienced this year, due to the Holiday weekend and yacht race dates occurring at a similar time. As you know the ITF dates are set well in advance, so it’s not always easy to switch dates when we learn of competing events. We are however reviewing the dates for next year and are working to address this clash early on. We want to ensure our visitors and participants have the best experience while participating in our tournament and visiting our Island home. The entire committee is thankful to you and others for supporting our tournament and want to ensure you have the most positive experience, it’s great that your players were so successful, well done! We hope that you will join us again for future tournaments.